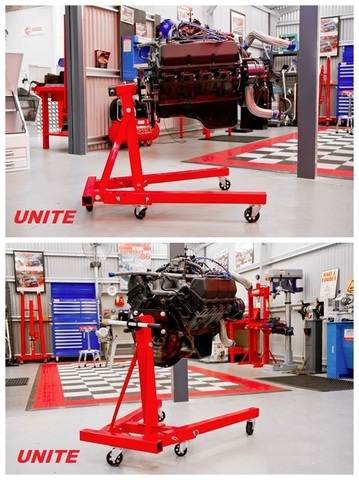 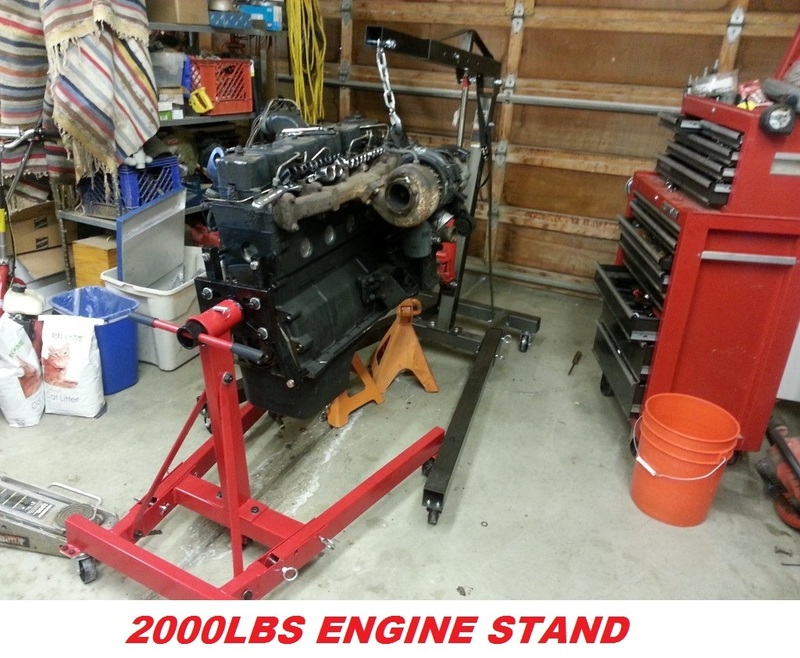 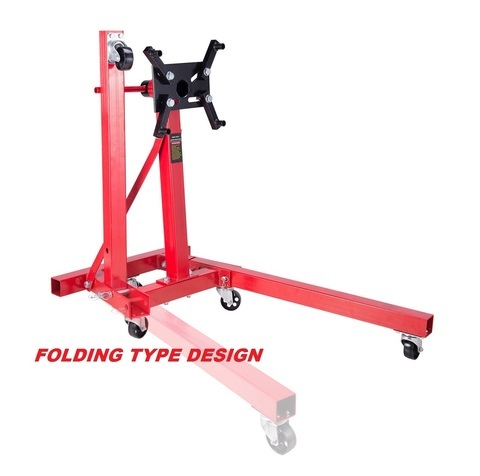 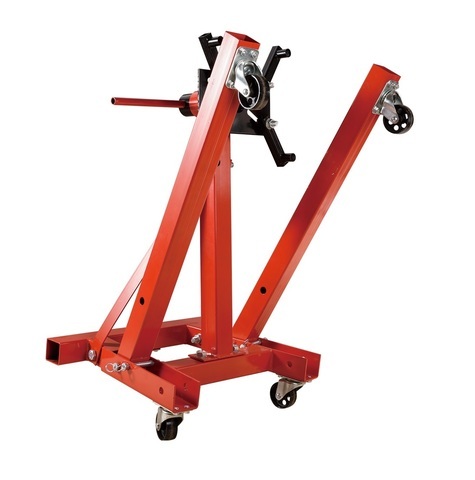 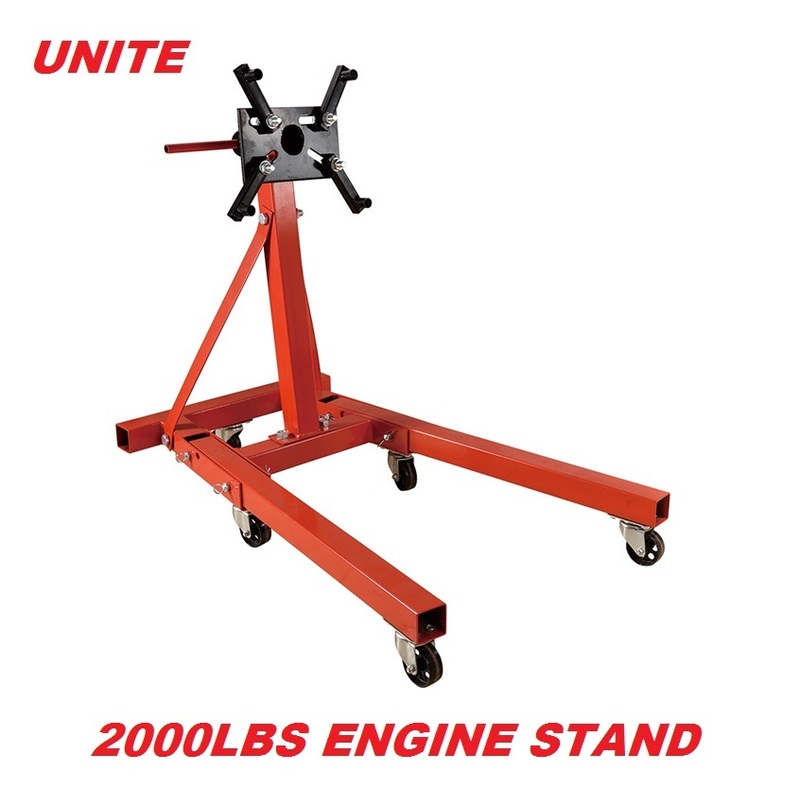 Unite 2000lbs Folding Type Engine Stand..
Sturdy design prevents these engine stands from tipping while holding the block. 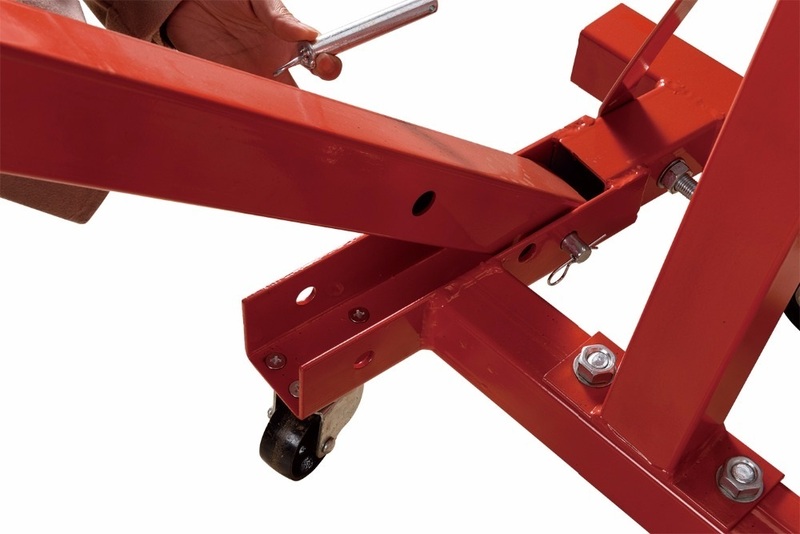 Rear swivel castors allow you to move and position engine exactly where you need it. 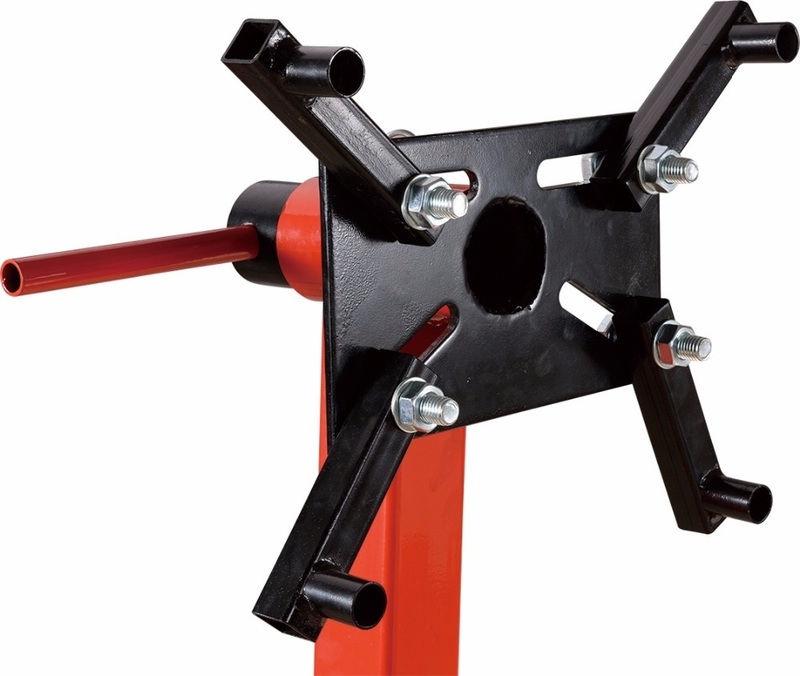 Four adjustable arms and 360º rotation for easy mounting.